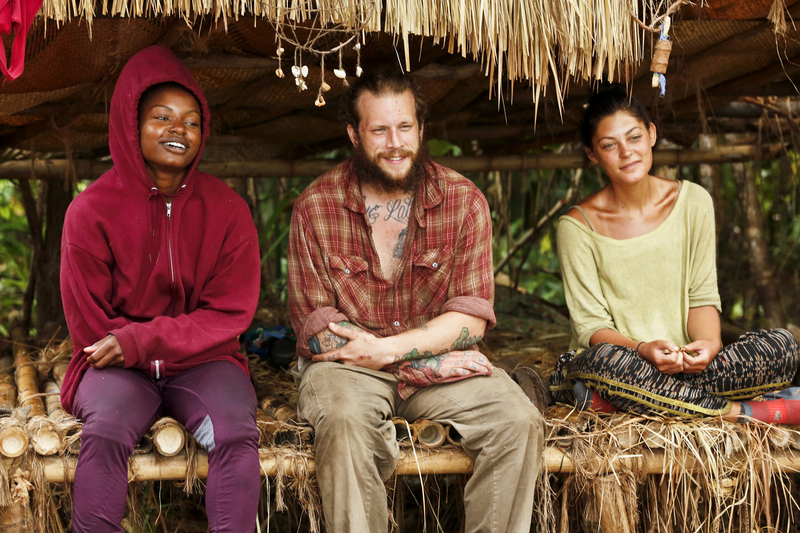 Cydney, Jason, and Michele hang out together under their makeshift shelter. A tribe merge reshuffles the castaways and their existing alliances. Also, a brutal Individual Immunity challenge keeps the players on their toes on the next episode of Survivor: Kaoh Rong entitled "It's Merge Time."